Traveling is, as we are all aware, one source of a potential money drain. But the fact of the matter is that it doesn’t have to be a huge expense, and we all know that in the end, taking some much-needed vacation time to get away and be with the family reaps benefits that are well worth the costs. One thing to remember when you begin the trip planning part is that you don’t necessarily have to go to a heavily advertised “getaway resort” in Bryce Canyon to have a great trip. If you have young kids especially, remember that children don’t really care about things like a nice hotel or fancy restaurants. For kids, any sort of trip is an adventure. Here are a few things to keep in mind when deciding where your next trip destination should be. Go places where you have family or friends. While the whole point of a getaway is completely escape your current life, and that may also include getting away from family and friends, there are many money-saving possibilities for going to locations where you at least know someone. For one, you’ll avoid the running around inherent in trying to figure out a place for the first time without an “insider’s” perspective. Also, your contact will necessarily know the best and cheapest places to eat, sleep, and play. When planning an itinerary, incorporate lots of free time. Although as adults, we want to see and do as many things as possible during a trip in order to make the most of our time, kids get easily tired, hungry, and bored. If you try to squeeze in too many activities, you’ll end up a. Spending more money, b. Tiring out the kids and c. Causing more stress than it’s worth. By incorporating lots of free time every day of your vacation, you’ll surprised at how much more time you enjoy with the kids, how much less you spend, and how quick and easy it is to find spur of the moment activities that produce those unforgettable family moments. 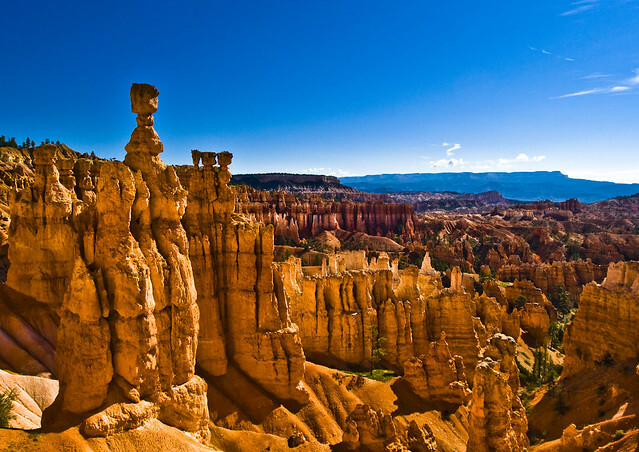 There really is so much to see when you come to Bryce Canyon, but don’t overdo it. Backpacking drives you closer to hazards, harsh weather conditions, awkward terrain, dangerous waters and animal predators. Hence, a backpacker is prone to sickness like dehydration, heat exhaustion, hypothermia, altitude illness, and physical accidental injury. Granted Bryce is a smaller national park and the threats are much less, but they are here; hence, safety should not be shelved just because a backpacker wants to experience adventure. In fact, simple safety measures ensure an enjoyable and problem-free backpacking adventure. A backpacker needs to be physically prepared and fit for the trip. He has chosen his trail and made his itinerary and contingency plans. His pack is ready containing adequate and proper gear. He knows emergency measures, first aid and basic survival techniques. Remember that backpacking entails hours of hiking while carrying a fully loaded backpack. When camping out, find proper encampments and pitch your tent on flat ground patches, preferably elevated from rivers and lakes. If there are established campsites, set up camp there. So if you’re coming to Bryce Canyon to go backpacking, you’ll be ready now. Bryce is one of the best places to experience the outdoors, and don’t forget it to add at least one night stay in our on our beautiful Bryce Canyon hotel rooms.